By buying this product you can collect up to 13 points . Your cart will total 13 points that can be converted into a voucher of ₱13 . 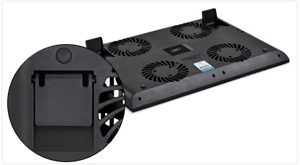 Built-in four fans provide massive airflow to cool the whole notebook base with no blind area. 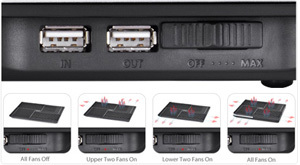 The creative Multi-Core Control Technology enables users to apply 4 different fan-working statuses: 4 fans on / 2 upper fans on / 2 downside fans on / 4 fans off. 2 USB ports allow users to connect their personal USB devices. The whole panel is divided into four parts with four built-in fans down below. 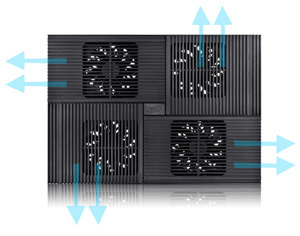 With Vertical Airflow Design, the airflow goes four directions. 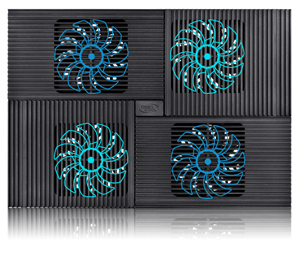 Multi-Core Control Technology enables use of four fan statuses: four fans on/off, or two upper/downside fans on. Vertical Airflow Design allows the cold air to take away the heat quickly. Foldable supporting feet help provide two viewing angles. 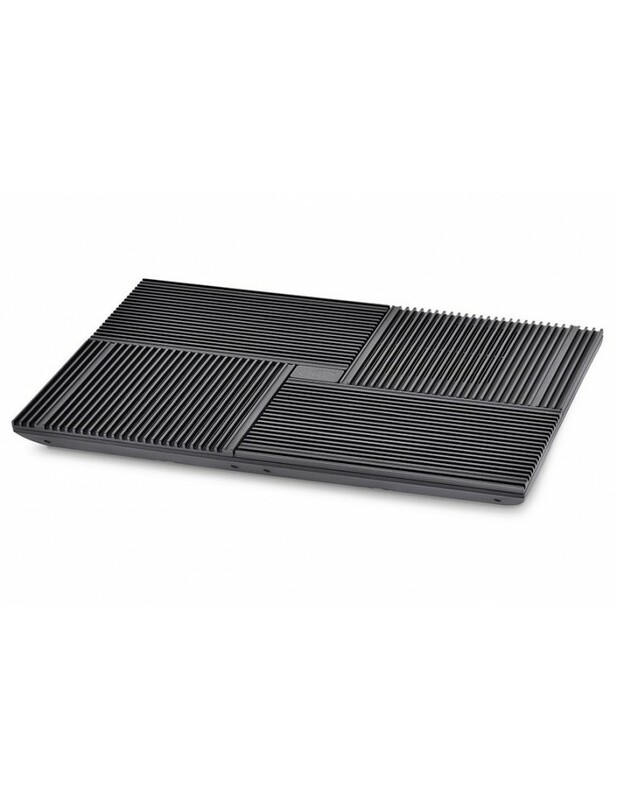 The gap between the supporting feet and the cooler base allows you to unfold them easily. 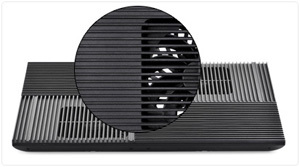 The initiative design of four fans blowing into four different directions makes full use of the dissipation area, and also covers all heating points of your notebook. 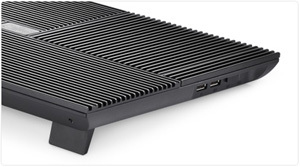 This cooler can cool your hottest spots no matter if it is a hard disk drive or VGA card area. 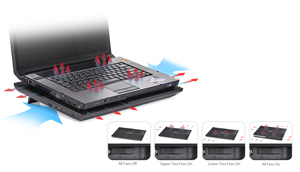 According to the heating condition of the notebook, the creative Multi-Core Control Technology enables users to apply four different fan-working statuses: four fans on / two upper fans on / two downside fans on / four fans off. The ergonomic viewing angle of this cooler is fixed at 7 degrees for the most comfort when users read pages, watch videos and play games. And this angle is also designed for notebook stabilization and safety. With two built-in USB 2.0 ports, you can connect your personal USB devices through MULTI CORE X8 for charging your mobile phone or for data transfer. 15.00" x 10.55" x 1.14"